Step out of Johannesburg to go to Sandton and see Montecasino, which is approximately 32 minutes away. Pack the 18th (Tue) with family-friendly diversions at Gold Reef City. There's much more to do: examine the collection at Apartheid Museum, contemplate the long history of Mandela House, and get a sense of history and politics at Constitution Hill. For photos, ratings, where to stay, and tourist information, go to the Johannesburg trip itinerary maker. Singapore, Singapore to Johannesburg is an approximately 14.5-hour flight. The time zone difference moving from Singapore Time (SGT) to South Africa Standard Time (SAST) is minus 6 hours. When traveling from Singapore in April, plan for slightly colder days in Johannesburg, with highs around 28°C, while nights are much colder with lows around 13°C. Finish your sightseeing early on the 19th (Wed) so you can travel to Hoedspruit. 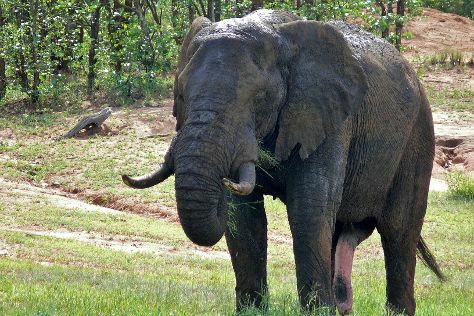 Explore the numerous day-trip ideas around Hoedspruit: Kruger National Park (Game drives at Phalaborwa Gate in Kruger National Park & Thornybush Game Reserve) and Idube Game Reserve (in Sabi Sand Game Reserve). There's more to do: identify plant and animal life at Thornbush Game Reserve. For traveler tips, other places to visit, ratings, and more tourist information, read our Hoedspruit sightseeing planner. You can do a combination of train and flight from Johannesburg to Hoedspruit in 3 hours. Alternatively, you can drive. Traveling from Johannesburg in April, Hoedspruit is a bit warmer at night with lows of 18°C. Finish your sightseeing early on the 22nd (Sat) to allow enough time to drive to Hazyview. 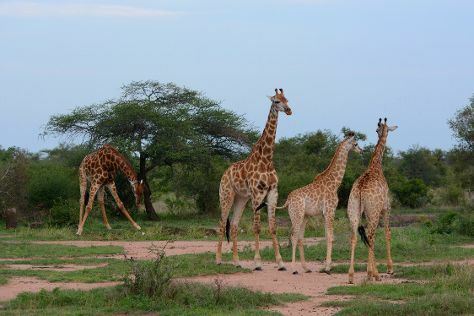 Kick off your visit on the 23rd (Sun): explore the striking landscape of Kruger National Park. To find reviews, photos, maps, and other tourist information, go to the Hazyview trip itinerary planner. Traveling by car from Hoedspruit to Hazyview takes 2 hours. In April, plan for daily highs up to 28°C, and evening lows to 17°C. Wrap up your sightseeing by early afternoon on the 24th (Mon) to allow time for travel to Cape Town. Change things up with these side-trips from Cape Town: Boulders Beach (in Simon's Town) and Cape of Good Hope (in Table Mountain National Park). There's still lots to do: take in the awesome beauty at Table Mountain, admire the natural beauty at Kirstenbosch National Botanical Garden, step off the mainland to explore Robben Island, and meet the residents at Two Oceans Aquarium. For photos, reviews, traveler tips, and more tourist information, use the Cape Town itinerary builder. Getting from Hazyview to Cape Town by combination of taxi and flight takes about 5 hours. Other options: drive; or do a combination of taxi and bus. Expect a daytime high around 27°C in April, and nighttime lows around 14°C. Finish your sightseeing early on the 28th (Fri) to allow enough time to travel back home.